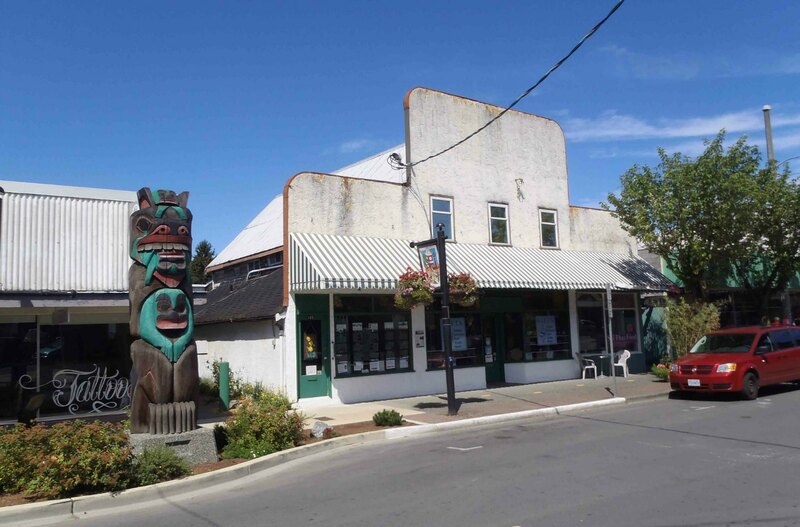 For those interested in architecture, history and historic buildings, here is a guide to the historic buildings in downtown Duncan, B.C. 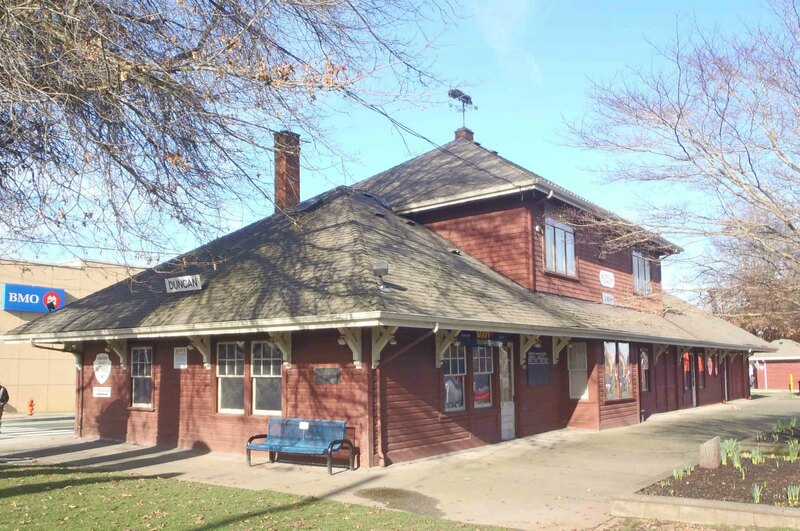 The former E&N Railway Station on Canada Avenue was built in 1912. 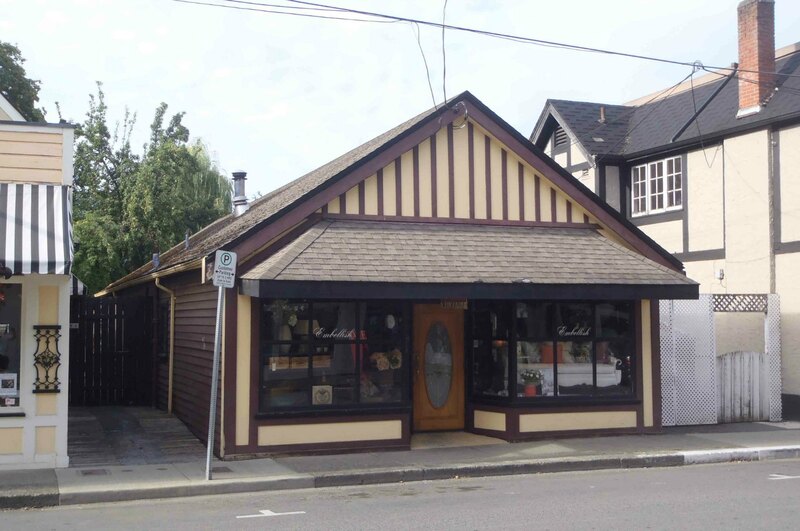 It is now the Cowichan Valley Museum….Read More…. Duncan & Christmas Heritage Mall, 149 Canada Avenue, Duncan, B.C. Duncan Masonic Temple, 163 Canada Avenue. Built in 1912 by Temple Lodge, No.33, A.F.&A.M. The Duncan Masonic Temple at 163 Canada Avenue was built in 1912 by Temple Lodge, No.33. It is still the Freemasons’ lodge building in Duncan. The Freemasons played a significant role in Duncan’s history. As one example, eight of Duncan’s sixteen Mayors since 1912 were members of Temple Lodge, No.33…. Read More…. 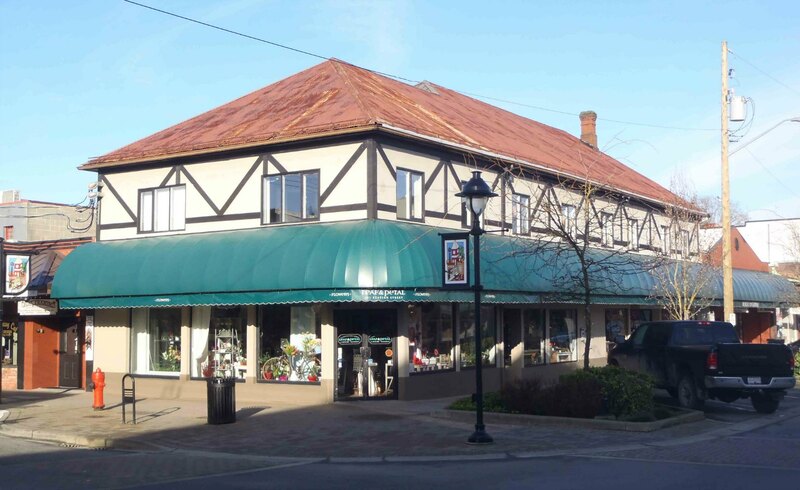 The Cowichan Merchants Building was built in 1912 by Cowichan Merchants Ltd., which used it as a department store. It was an Eaton’s department store from 1949 to 1995. It is now offices and shops….Read More…. 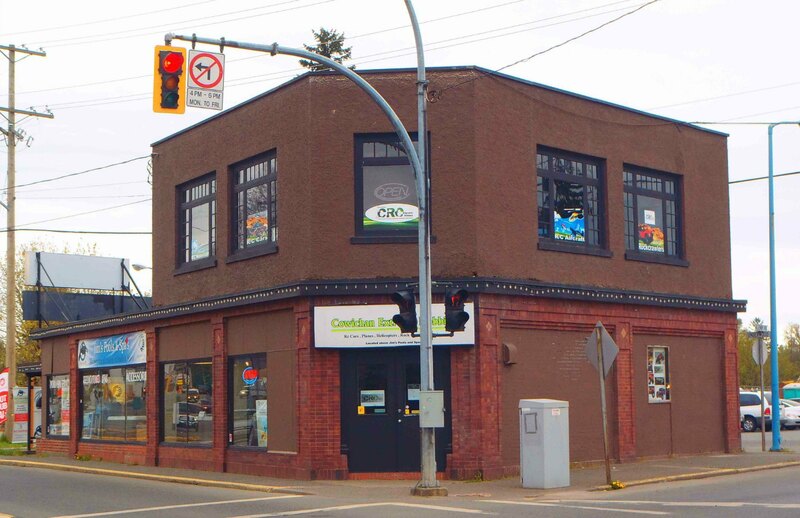 45 Craig Street is now Just Jakes’s Restaurant but the building was originally designed in 1922 by architect Douglas James and built by contractor Edward Lee (later Mayor of Duncan) for Harold F. Prevost (later Mayor of Duncan), who used it for his stationers business….Read More…. 101 Station Street. Built circa 1893 by Christopher Dobson for his wheelwright and carriage making business. 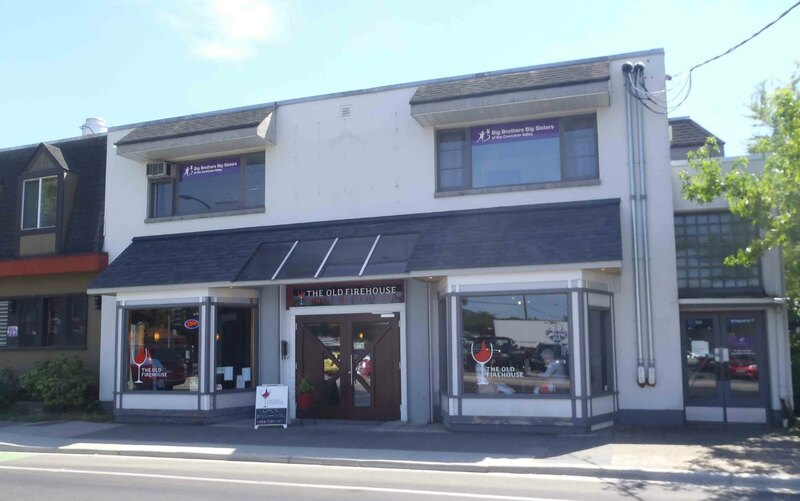 151-155 Craig Street was built in 1929 by architect Douglas James for Hugh G. Savage, who used it as the offices for his Cowichan Leader newspaper…..Read More…. 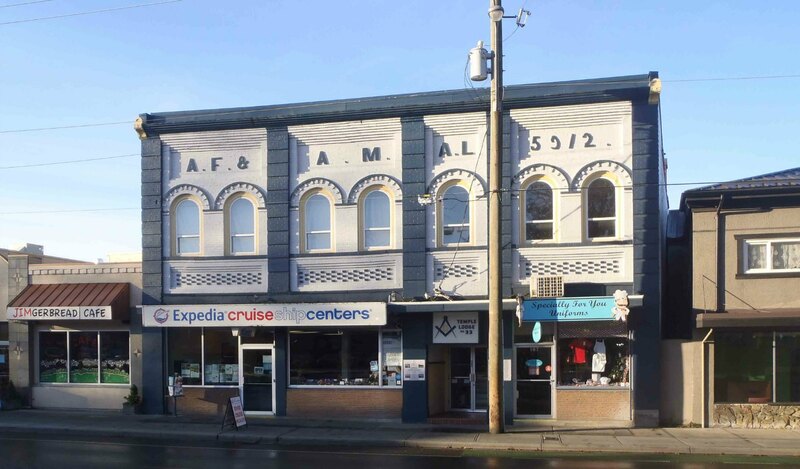 Matraea Mercantile, originally the Telephone Exchange building, Craig Street at Kenneth Street, Duncan, B.C. The B.C. Telephone Exchange building at 170 Craig Street (at the corner of Kenneth Street) opened in 1923. 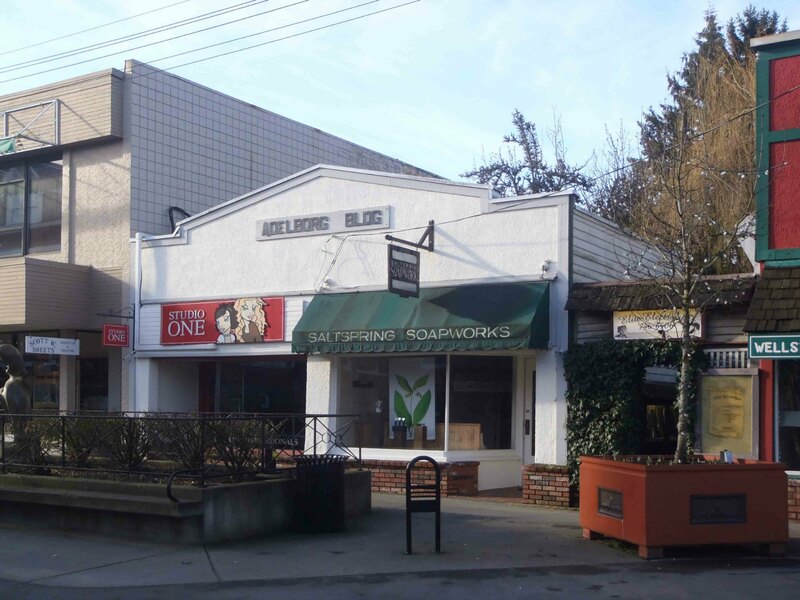 It was the Cowichan Valley telephone exchange until 1962, when the present telephone exchange building opened in Ingram Street. It is now the Matraea Center, which rents space to alternative medicine practitioners…..Read More…. 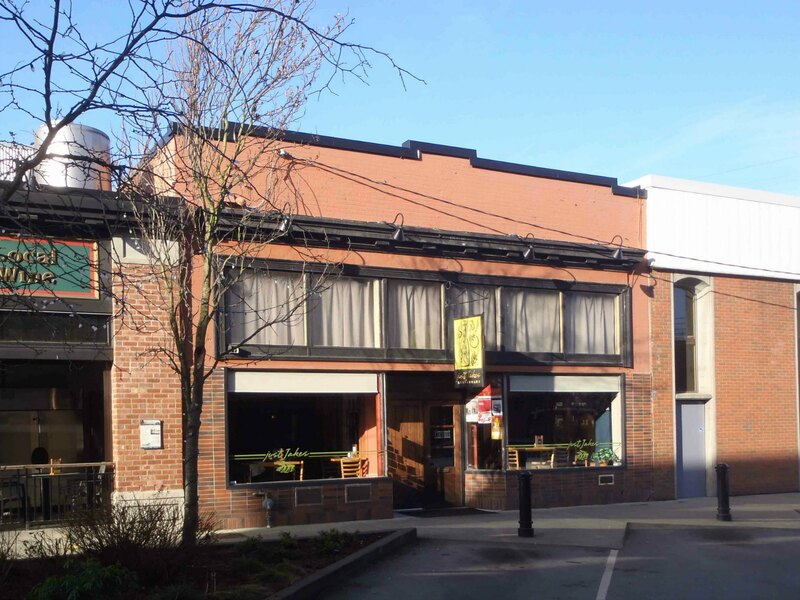 211 Craig Street was originally designed in 1926 by architect Douglas James for James C. Wragg (Mayor of Duncan between 1947-1955), who used it for his bakery business….. Read More…. The Duncan City Hall was originally built in 1913 as the Post Office, which occupied the building until 1958, when the current Canada Post office opened on Ingram Street. 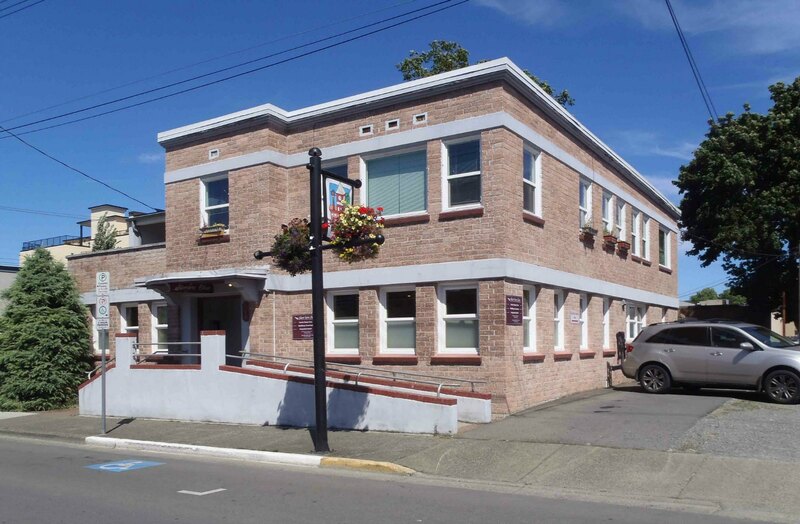 This building was renovated into Duncan City Hall in 1974-75….Read More…. 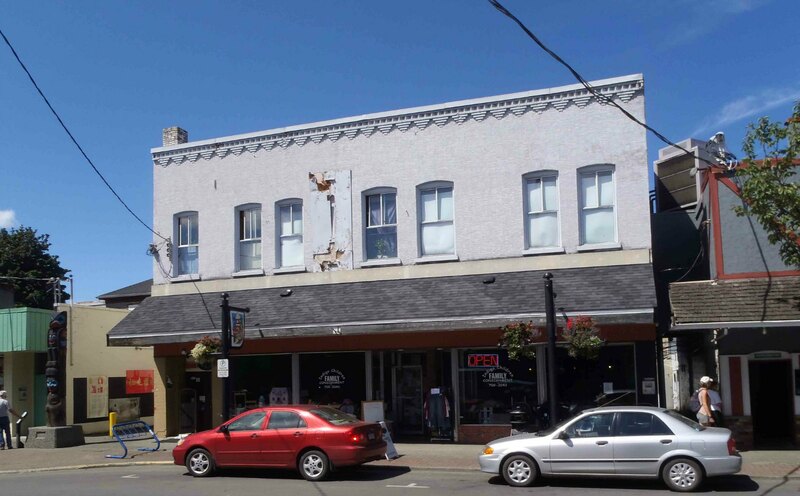 The Manzer Building was built circa 1909 and is a very good example of an early 20th century mixed use building with commercial space on the main floor and residential apartments on the second floor. It is now home to Matisse Day Spa…..Read More…. 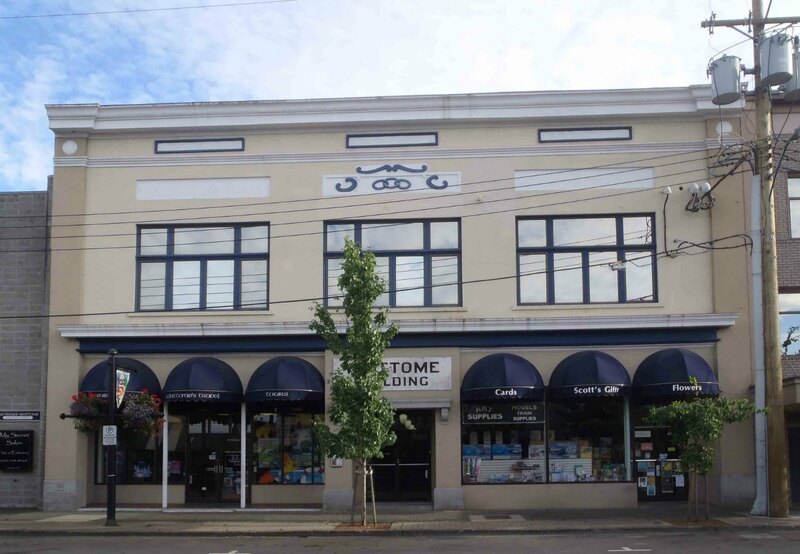 The Adelborg Building is one of the few remaining examples of the kind of small early 20th century commercial buildings which used to be very common in downtown Duncan. 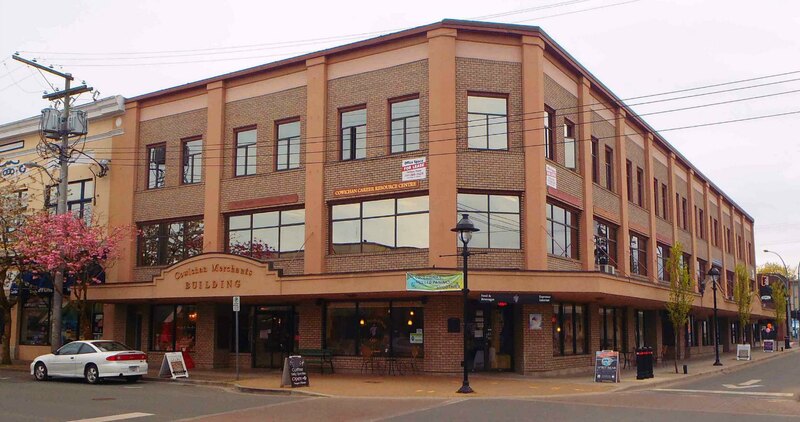 The Adelborg Building is now home to Studio One (261 Craig Street) and Saltspring Soapworks (269 Craig Street)….Read More…. 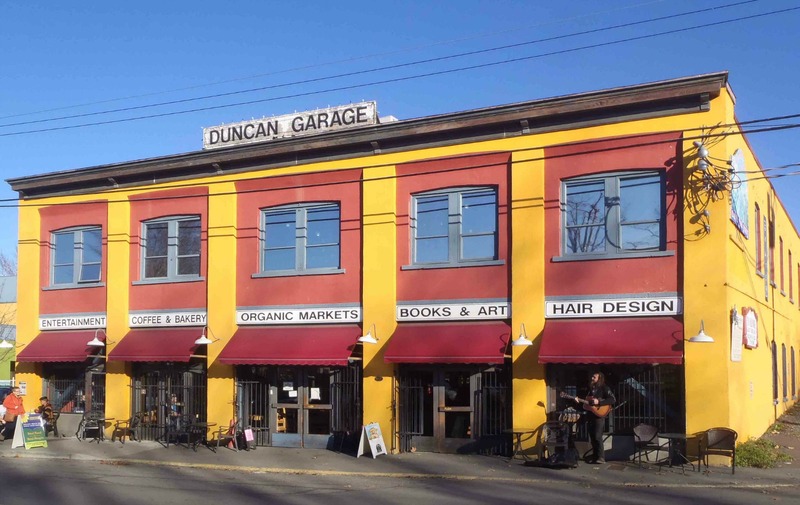 Duncan Garage, 330 Duncan Street, Duncan, B.C. The Duncan Garage was built in 1912 by Norman T. Corfield‘s Duncan Garage Ltd. as a Ford dealership and automobile garage. It was operated by Duncan Garage Ltd. until 1982. 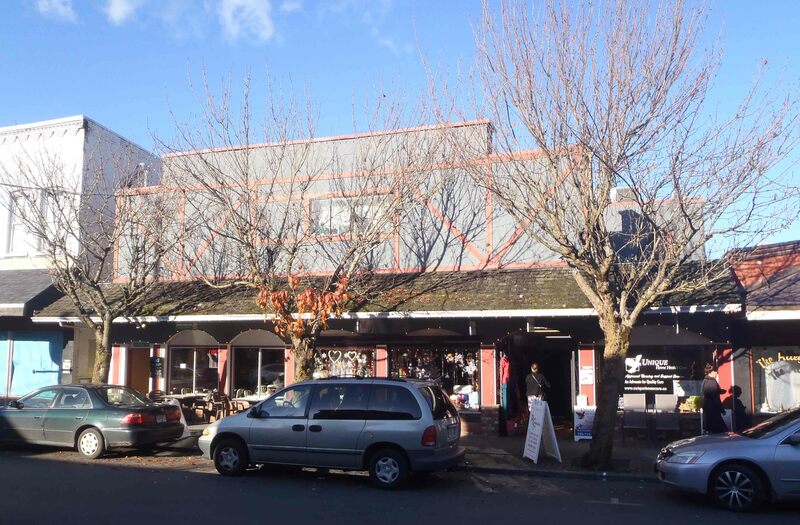 Between November 2002 and July 2003, it was renovated into its current use as a coffee shop and other retail and service businesses. 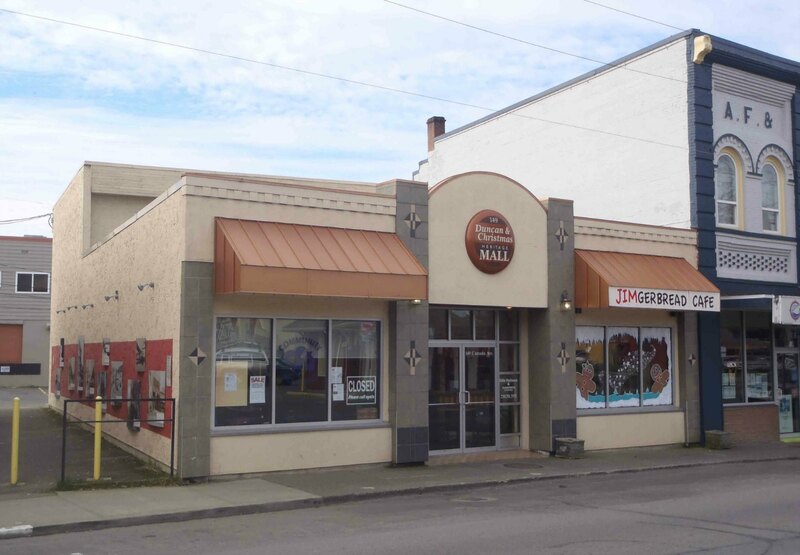 It was declared a Duncan heritage building in November 2002….Read More…. 70 Government Street, built in 1922 by architect Douglas James for Charles B. Mains. 70 Government Street was built in 1922 by architect Douglas James for Charles B. Mains, who used it as the site of his butcher shop until his retirement in 1951. It is now Jim’s Pools and Spas….Read More…. Wragg Building, 127 Government Street. Built in 1940 by contractor Edward Lee for James C. Wragg. The Wragg Building was built in 1940 by contractor Edward Lee for James C. Wragg. 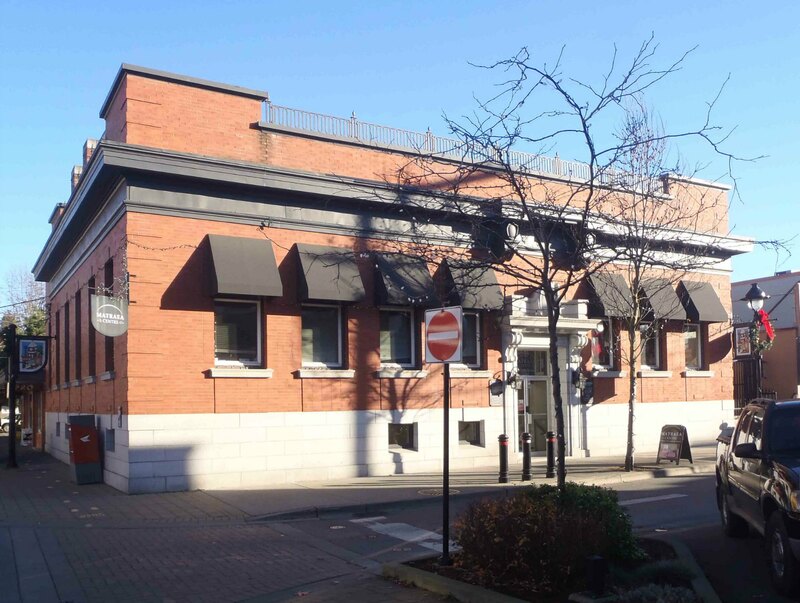 The Wragg building has frontage on Government Street and Station Street and is divided into two storefronts and four apartments on Station Street with four apartments on Government Street….Read More…. Joe’s Tire Hospital has been operating at this location at 176 Government Street since Joe Drennan started the business in 1930. 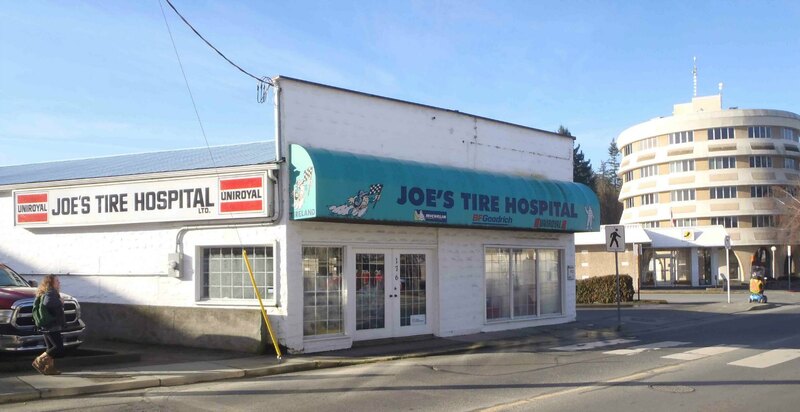 Joe’s Tire Hospital built this building in 1940 to replace its original building….Read More…. 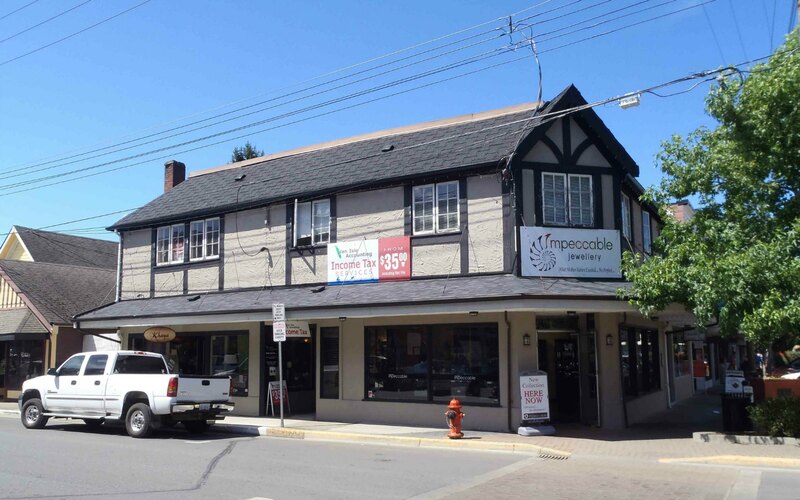 231 Government Street was built in 1929 by architect Douglas James for Thomas Pitt, a former Mayor of Duncan and partner in Cowichan Merchants Ltd., who used it for his Pitt Motors automobile dealership and garage….Read More…. 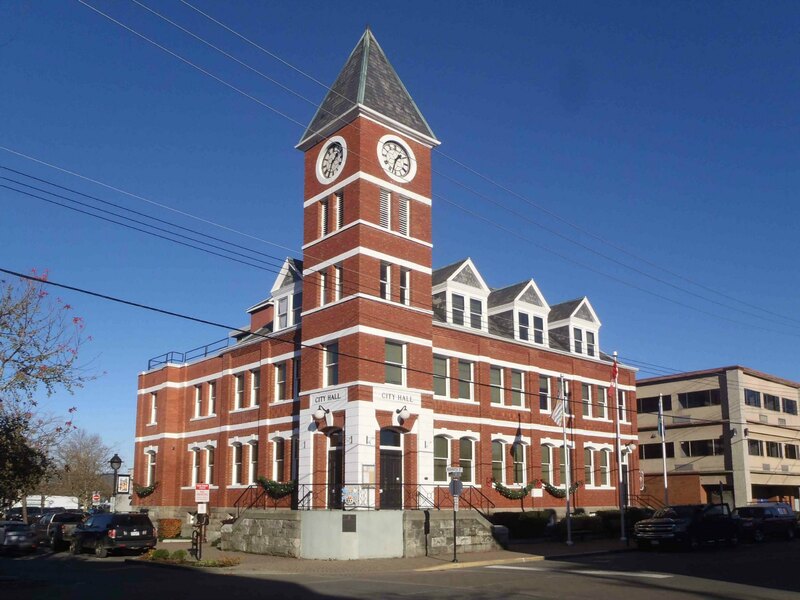 40 Ingram Street was designed and built in 1923 by architect Douglas James for the City of Duncan, which used as the main fire hall of the Duncan Volunteer Fire Department. 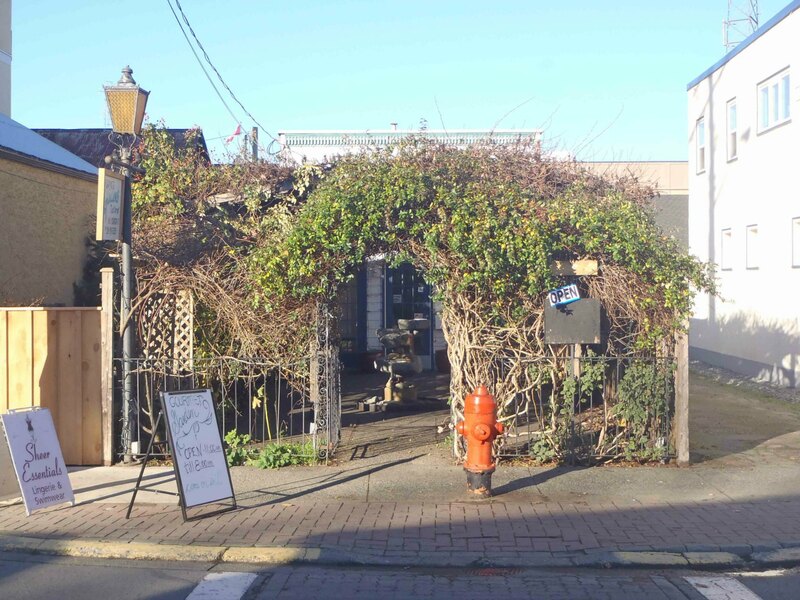 It is now The Old Firehouse Wine Bar…..Read More…. 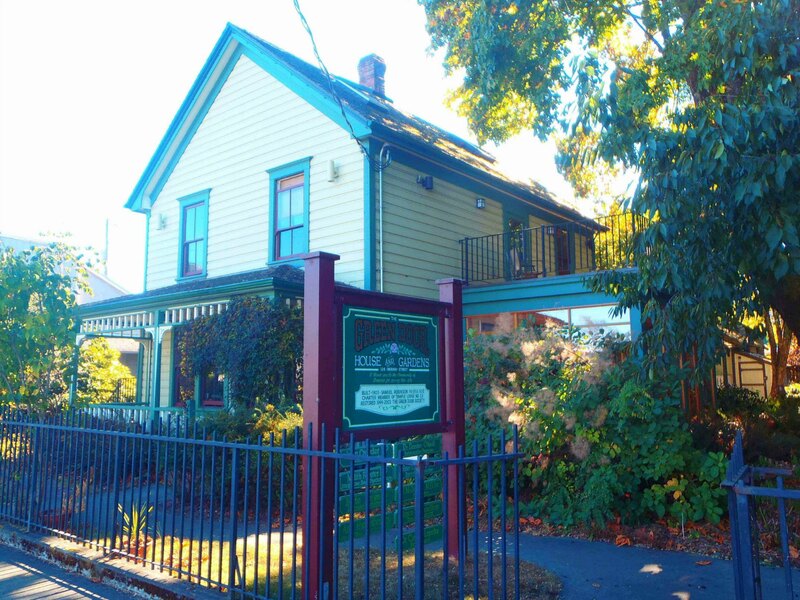 126 Ingram Street, now known as The Green Door, is the oldest residential property still standing in downtown Duncan. It was originally built in 1903 by contractor Samuel Robinson for Andrew H. Peterson. 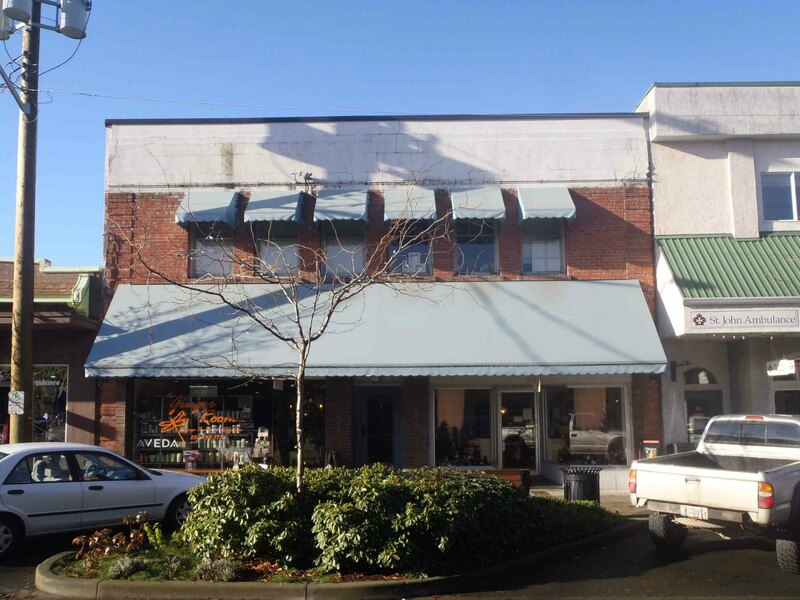 In 1909, Andrew H. Peterson became one of the three founding partners (with Thomas Pitt and William P. Jaynes) of Cowichan Merchants Ltd., which built the Cowichan Merchants Building at Craig Street and Station Street. Read More…. 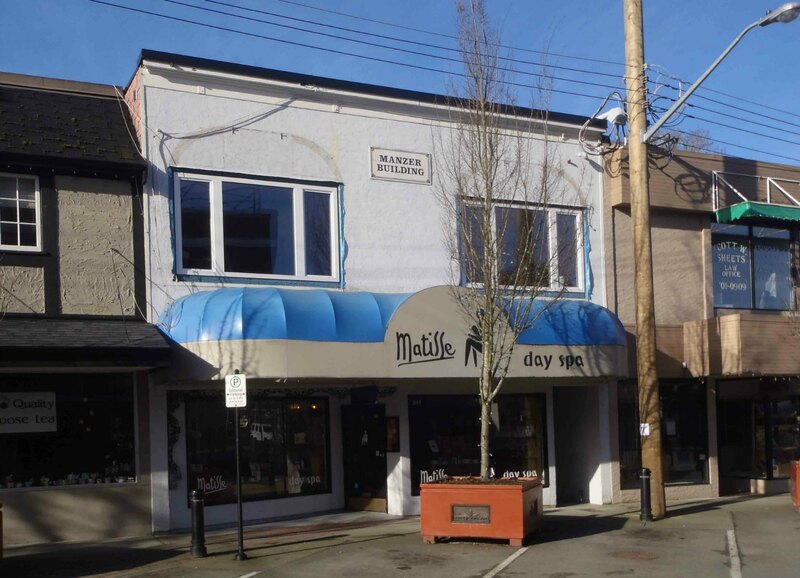 160 Jubilee Street, built in 1946, was the first building built in downtown Duncan after WW2. St. John’s Anglican Church, 486 Jubilee Street. Built in 1905. St. John’s Anglican Church was designed in 1905 by architect J.C.M. 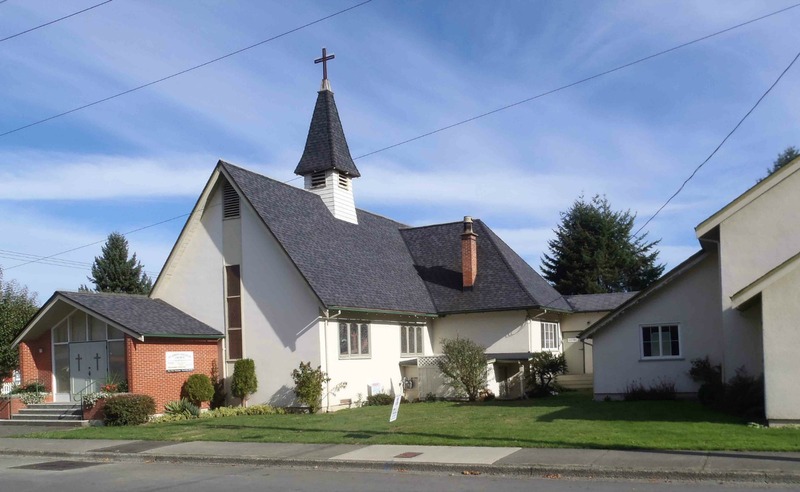 Keith (who also designed Christ Church Cathedral in Victoria) and was built by contractor James MacLeod Campbell, a former Reeve of North Cowichan and member of Duncan’s first City Council in 1912…..Read More…. 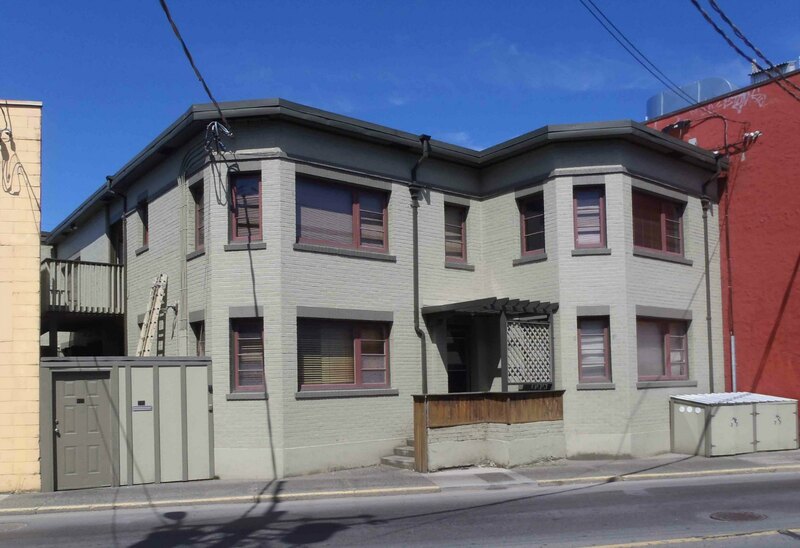 115 Kenneth Street is one of the early commercial buildings in downtown Duncan. It is currently home to Embellish Home Decor….Read More…. 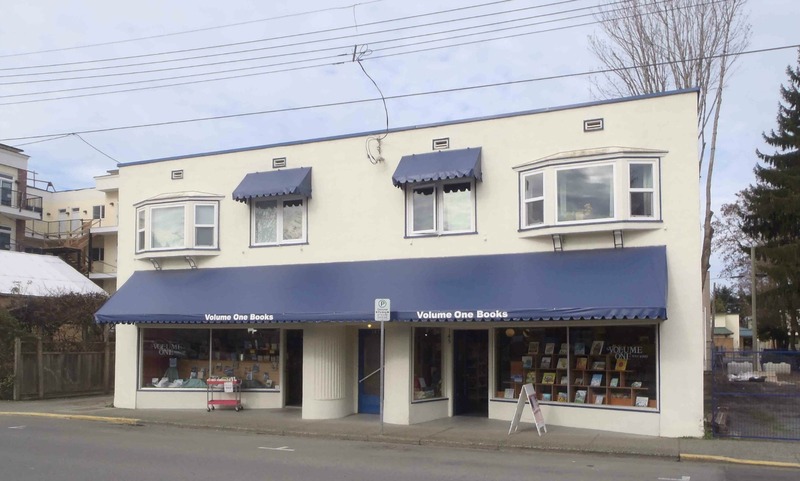 145-149 Kenneth Street has been home to Volume One Books since 1972. 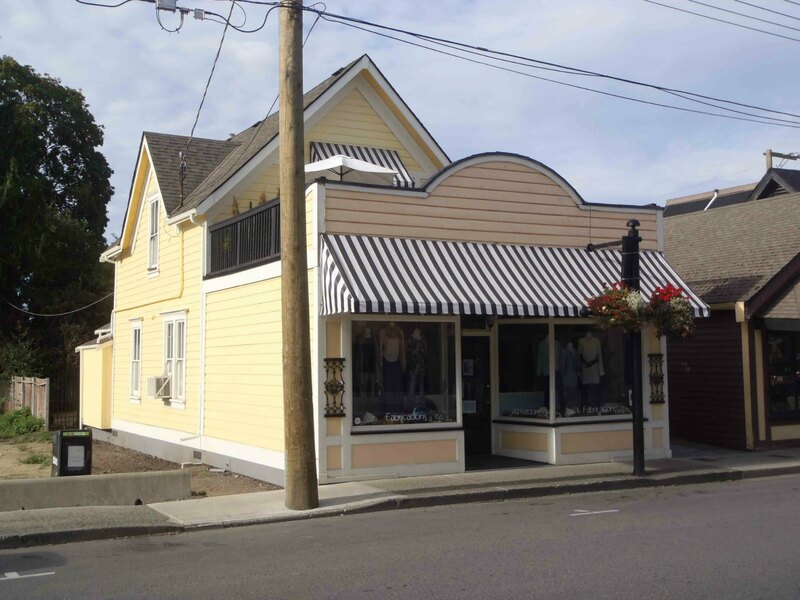 It was originally built in 1949 by Claude Green, who intended to run his paint contracting business on the main floor and rent out the four upstairs apartments…..Read More…. 161 Kenneth Street has been a restaurant for many years. It was Claude Green‘s paint contracting business in the 1930s and 1940s. 161 Kenneth Street has been used as restaurants for many years. In the 1930’s and 1940’s it was used by Claude Green’s paint contracting business before Claude Green built 145-149 Kenneth Street next door. 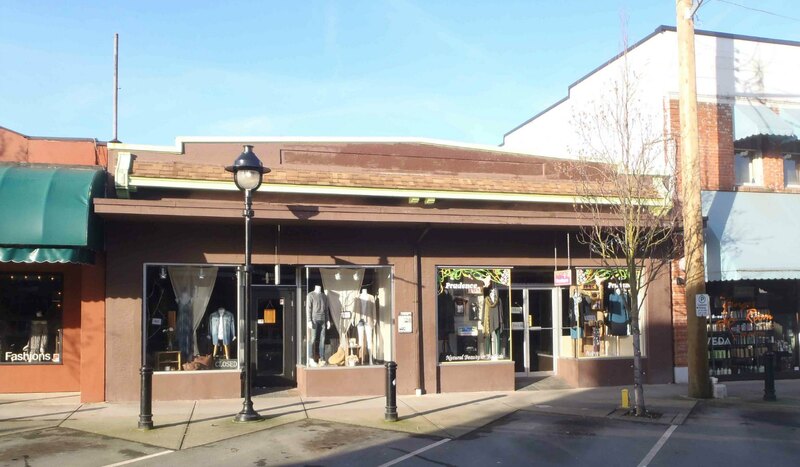 A 1930’s sign for Claude Green’s business is still visible on the exterior wall……Read More…..
Dr. Watson Dykes’ horse barn, behind 163 Kenneth Street, downtown Duncan, B.C. Dr. Watson Dykes came to Duncan from Nanaimo in 1904 to set up a medical practice. When Dr. Dykes started his practice he used a horse and buggy to make house calls on patients. 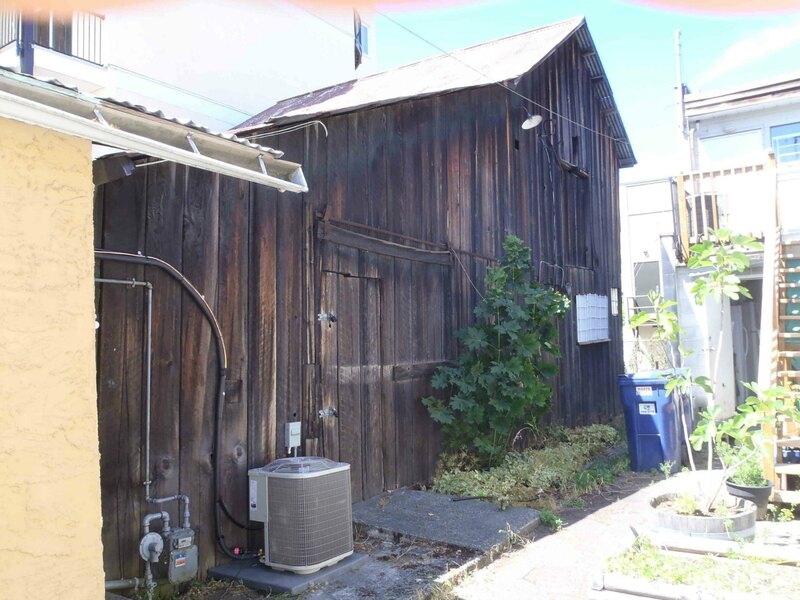 The barn where Dr. Watson Dykes stabled his horses is still standing behind 163 Kenneth Street…..Read More…. 101 Station Street, at the corner of Station Street and Craig Street, is one of the oldest buildings in downtown Duncan. It was built circa 1893 by Christopher Dobson for his wheelwright and carriage making business. It was later used by Daniel Hattie and Walter Hudson for their hardware businesses…Read More…..
131 Station Street was built in 1909 by Mrs. G.S. Potts for her Potts Grocery business. 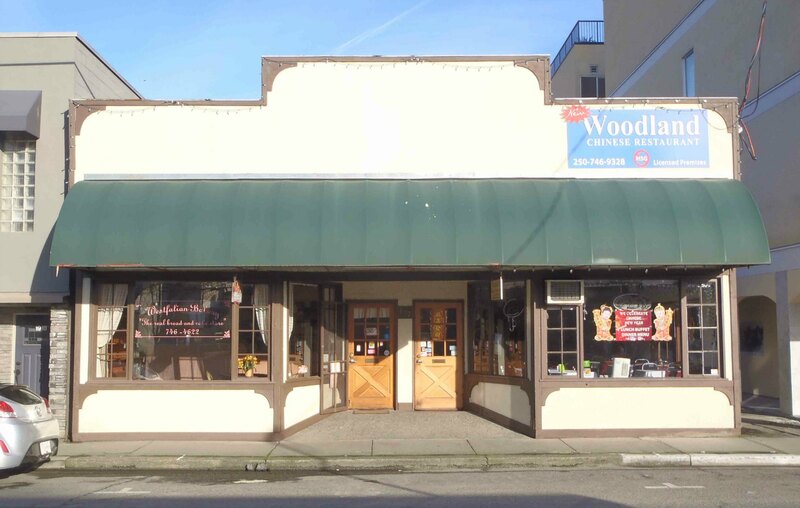 When it was first built is was considered the “finest store” building in Duncan. 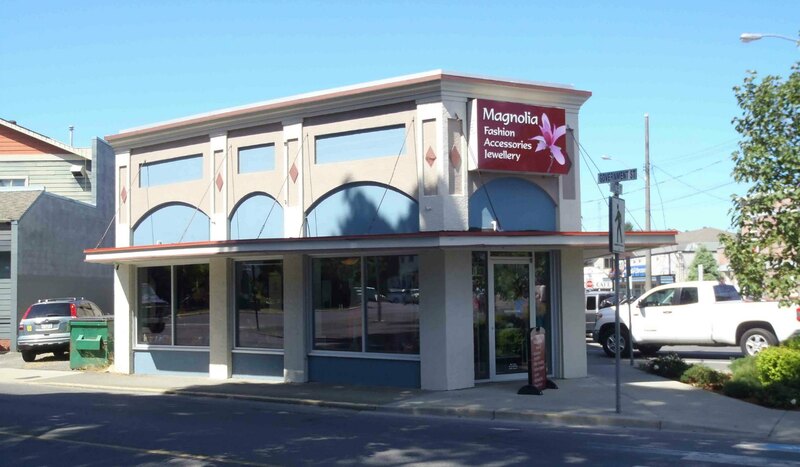 It is now occupied by the Duncan Showroom…..Read More…. 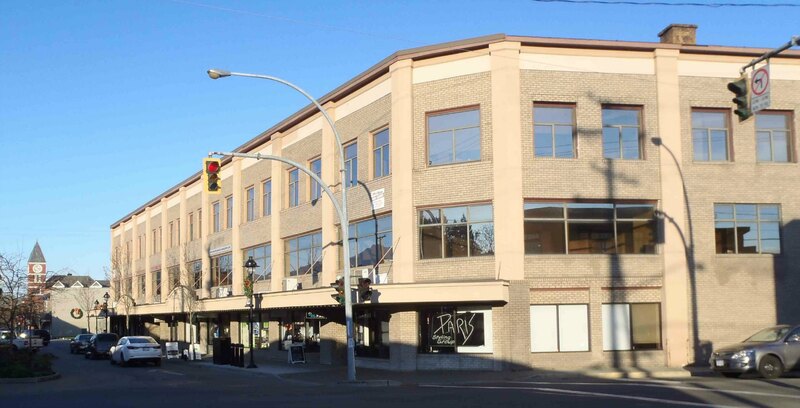 161-165 Station Street was built in the early 20th century and has been home to wide variety of business, including a taxi service and a brothel. 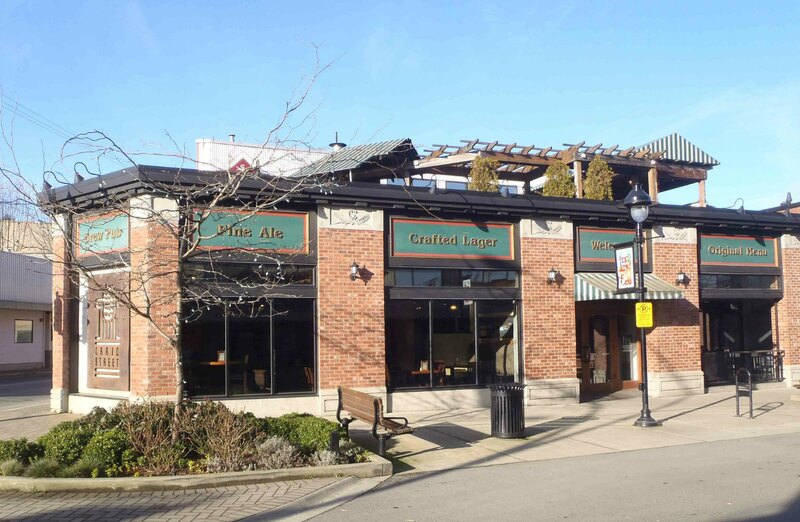 It is now occupied by Sai’s Spice Restaurant and the G.I.F.T.S. store….Read More….